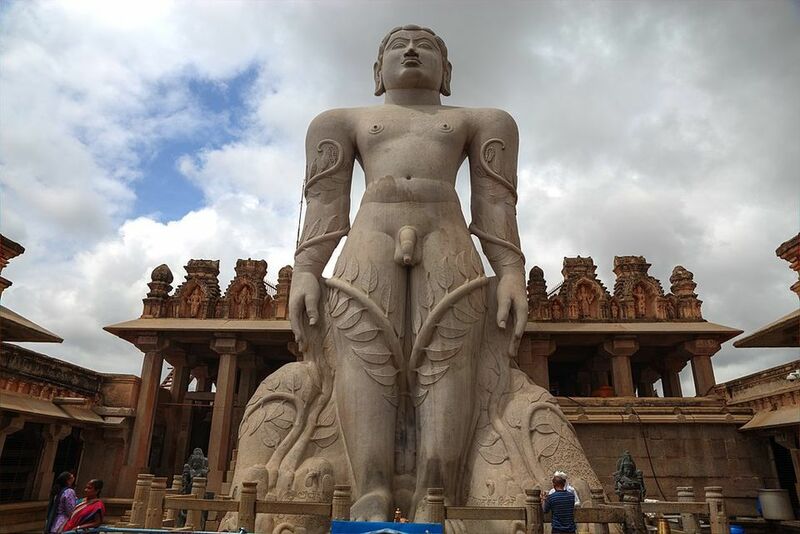 Shravanabelagola "White Pond of the Shravana" is named with reference to the colossal image of Gommaṭa - the prefix Śravaṇa serves to distinguish it from other Belagolas with the prefixes Hale- and Kodi-, while Beḷagoḷa "white pond" is an allusion to the pond in the middle of the town. The Sanskrit equivalents Svetasarovara, Dhavalasarovara and Dhavalasaras used in the inscriptions that support this meaning. 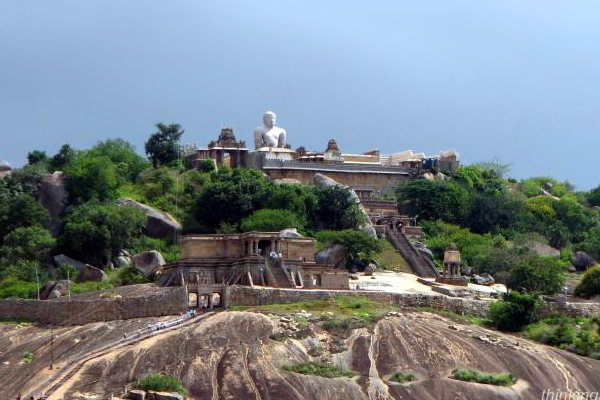 Shravanabelagola has two hills, Chandragiri and Vindhyagiri. Acharya Bhadrabahu and his pupil Chandragupta Maurya are believed to have meditated there. Chandragupta Basadi, which was dedicated to Chandragupta Maurya, was originally built there by Ashoka in the third century BC. Chandragiri also has memorials to numerous monks and Śrāvakas who have meditated there since the fifth century AD, including the last king of the Rashtrakuta dynasty of Manyakheta. 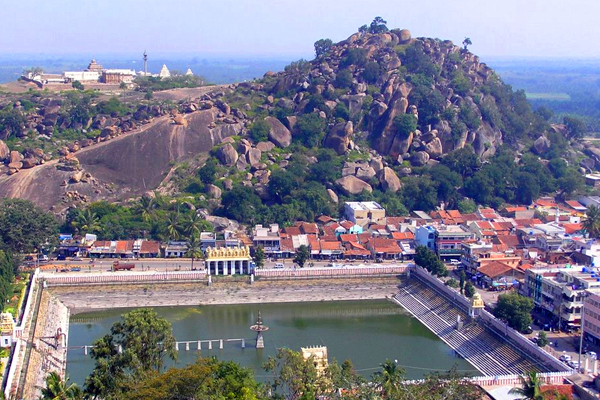 Chandragiri also has a famous temple built by Chavundaraya, who was a disciple of Nemichandra. 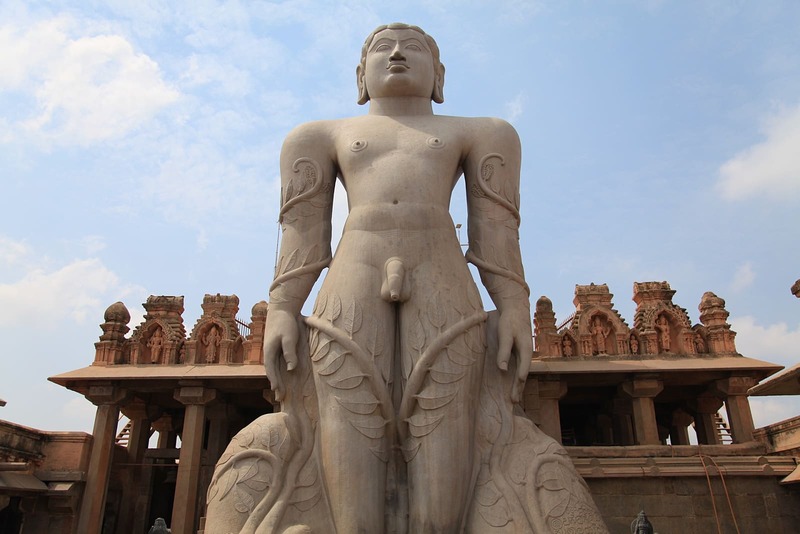 The 57-feet tall monolithic statue of Gommateshvara is located on Vindyagiri Hill. It is considered to be the world&apos;s largest monolithic stone statue. The base of the statue has an inscriptions in Kannada as well as the oldest evidence of written Marathi, i.e. Devnagari script, dating from 981 AD. The inscription praises the king who funded the effort and his general, Chavundaraya, who erected the statue for his mother. Every twelve years, thousands of devotees congregate here to perform the Mahamastakabhisheka, a spectacular ceremony in which the statue is covered with milk, curds, ghee, saffron and gold coins.The next Mahamastakabhisheka will be held in 2018. 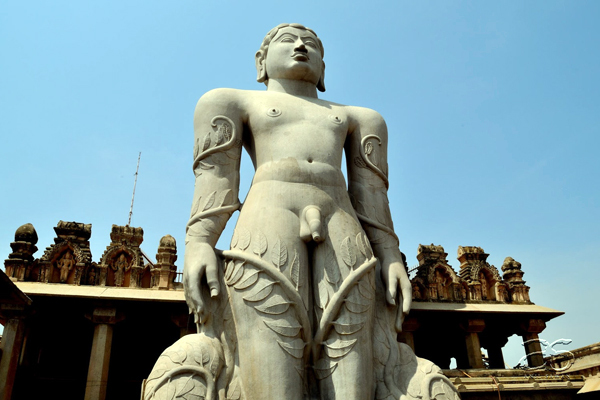 Shravanabelagola is a city located in the Hassan district in the Indian state of Karnataka and is 158 km from Bangalore. 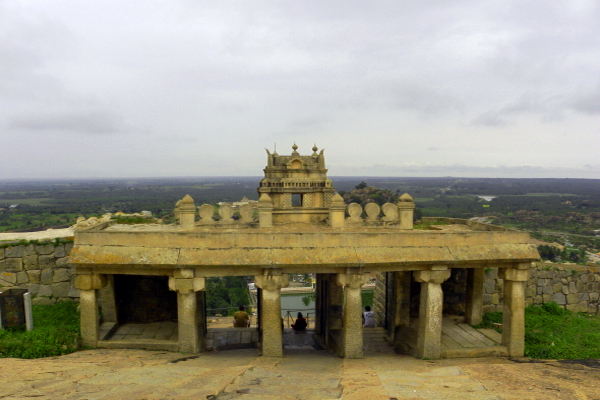 Shravanabelagola is located at 13 km to the south-east of Channarayapatna in the Channarayapatna taluk of Hassan district of Karnataka. It is at a distance of 51 km south-east of Hassan, the district centre. 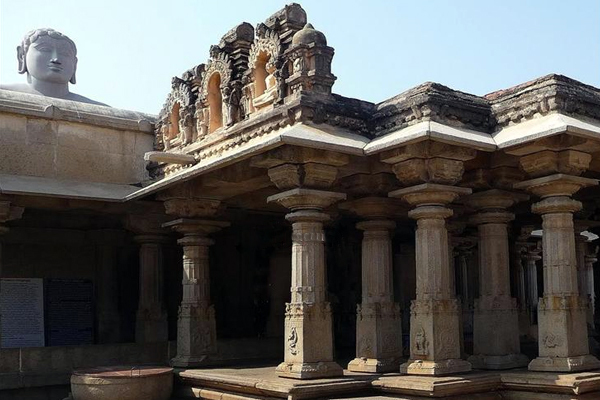 It is situated at a distance of 12 km to the south from the Bangalore-Mangalore road (NH-48), 78 km from Halebidu, 89 km from Belur, 83 km from Mysore, 233 km from Mangalore, 17 km from Hirisave and 157 km from Bangalore, the capital of Karnataka. Karnataka is one of the most beautiful states in India. As far as the climate in Karnataka is concerned, this state also has a pleasant weather. The state is known to have a moderate summers and pleasant winters. The entire coastal belt of Karnataka has The Tropical Monsoon climate. The climate in the coastal region is hot with excessive rainfall during the monsoon. The Southern part of Karnataka experiences hot, seasonally dry tropical savana climate. 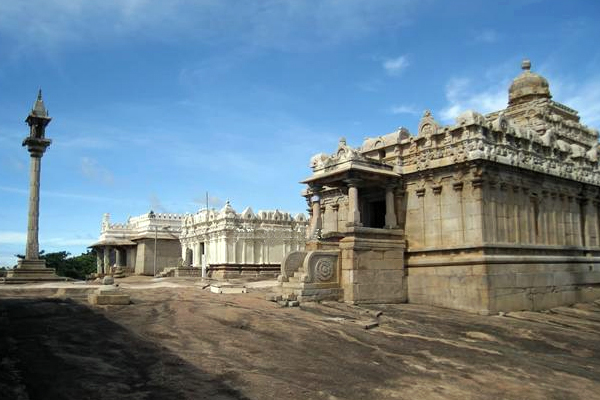 The north Karnataka experiences hot, semi-arid, tropical steppe type of climate. The winter begins from January and ends in February. It is followed by summer from March to May. Post monsoon season begins in October and lasts till December.The months April and May are really very hot and dry. Weather tends to be harsh during June due to high humidity.The best season to visit Karnataka is definitely the winter where the travelers can enjoy the most because of a very pleasant weather.